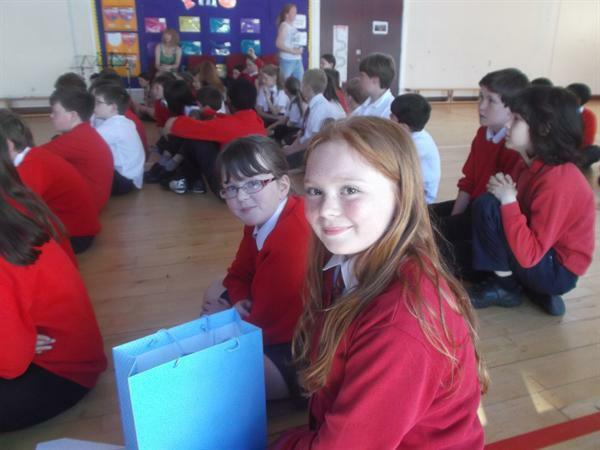 Karen and Mrs Hesketh organised an educational talk for the children in Primary seven. 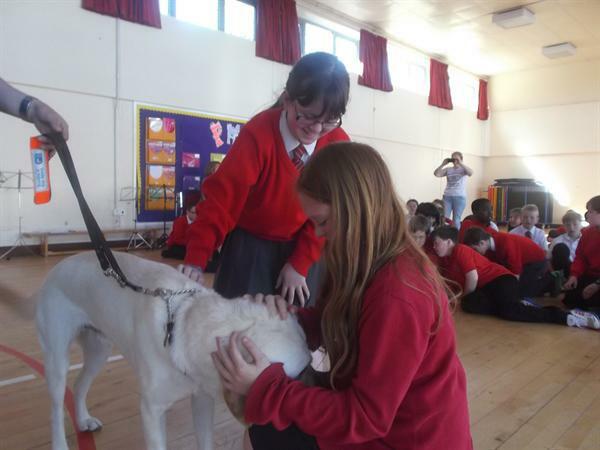 Erin, Karen, Caitie Lauren and Emma sold buns and cakes earlier in the year and raised £60 for the Guide Dogs to help fund for food, leads and collars. 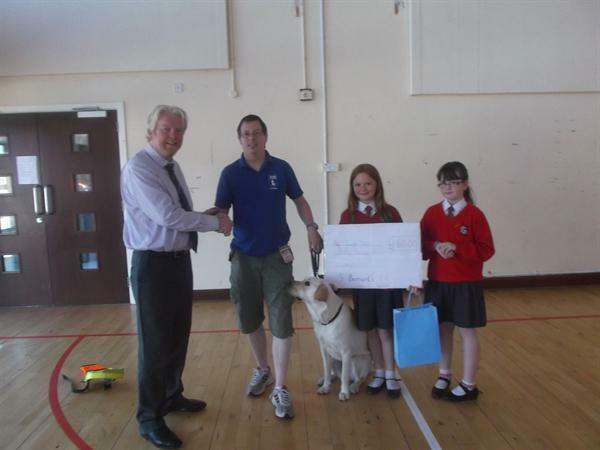 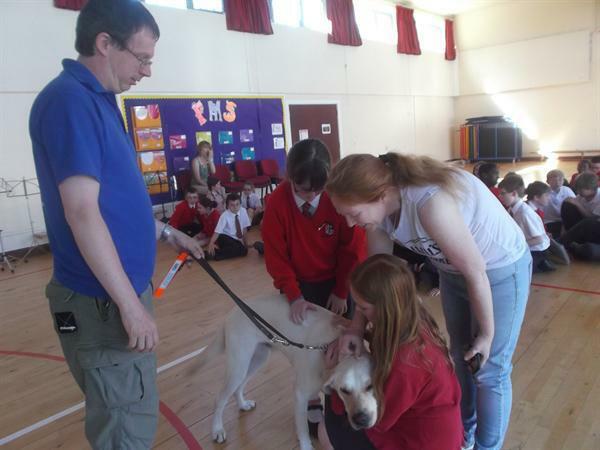 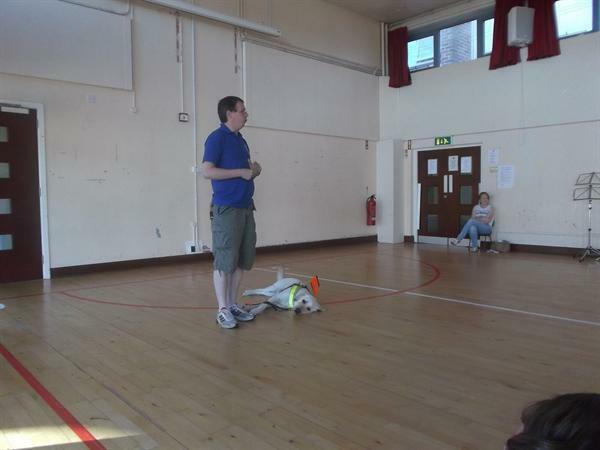 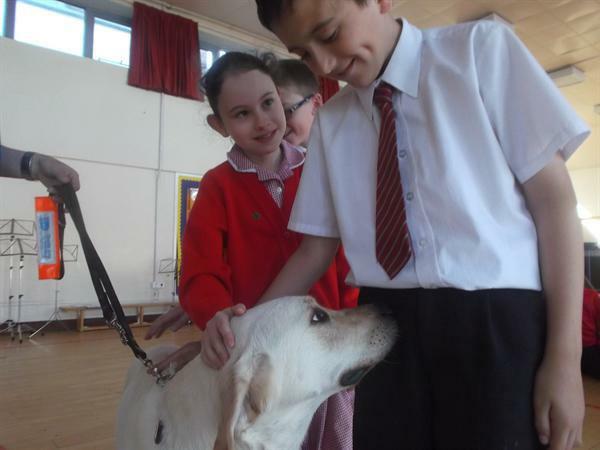 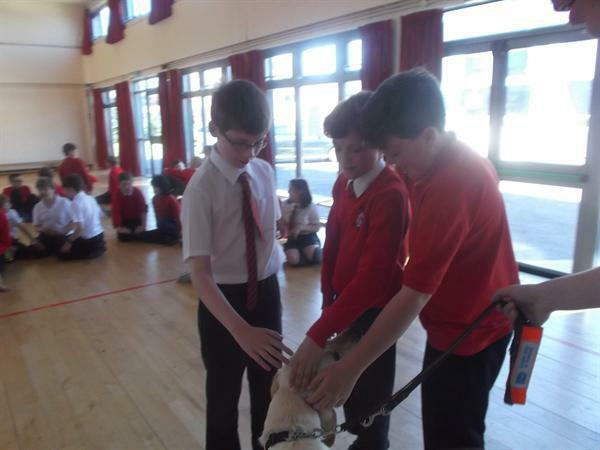 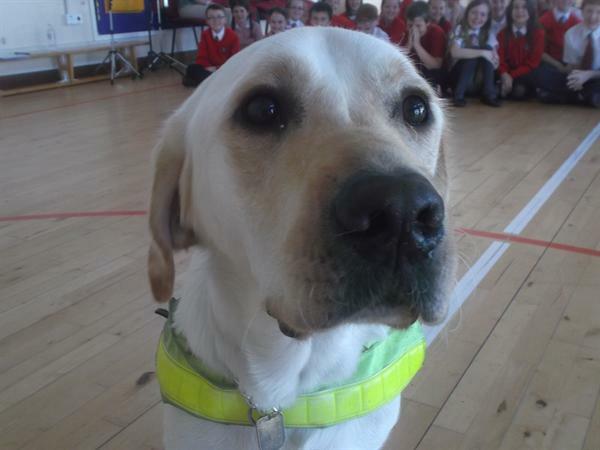 Mason the dog and Colin came into the school today and greatly entertained and educated the children.